Mobile Hospital Unit has purposed that provide medical service and surgical operating system to civilians and has serviced public health and welfare to obtain the faith from the People who have faith in their Country. Even for an emergency such as earthquake, flood, fire, typhoon and any disaster, Mobile Field Surgery Center will be carried out own its duty to save and to relieve civilians. If a war happens, Mobile Hospital Unit is thrown itself into the battle fields to help wounded soldier and reduce the damage of military forces at war duration. 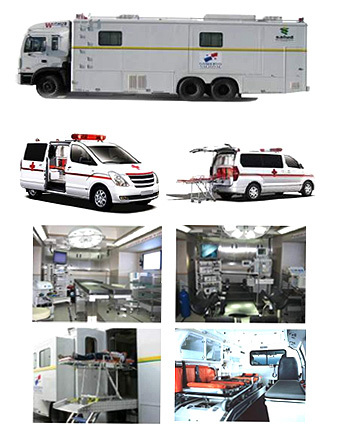 For an emergency such as earthquake, flood, fire, typhoon and any disaster, Mobile Hospital Center will be carried out own its duty to save and to relieve civilians. Mobile Unit is thrown itself into the battle fields to help wounded soldier and reduce the damage of military forces at war duration.